If Macedonia is the most beautiful country in the Balkans, then Prespa and Ljubojno are the core of this Macedonian beauty. And this is no coincidence, for it was the centre of Samoil’s state and Saint Clement as well, the former being ruler of the world and the latter an outstanding man of Orthodoxy. Following Clement’s death the long and harsh winter of the year 927 turned Prespa into a white snowy valley. Hence, from the word for the white snowdrifts “preslap” so the name “Prespa” was derived. The melting snow later formed the lakes, first the large one and then the smaller ones. Thus, Prespa began transforming into a natural reservation as is never remembered in the Balkans. The beautiful mountain views of Pelister and Galichitsa, the rich and rare flora and fauna, and the pleasant climate have turned Prespa into a true natural wonder. The revolutionary movement for national and social liberation of the Macedonian people from Turkish slavery emerged in Prespa toward the end of the 19th century. 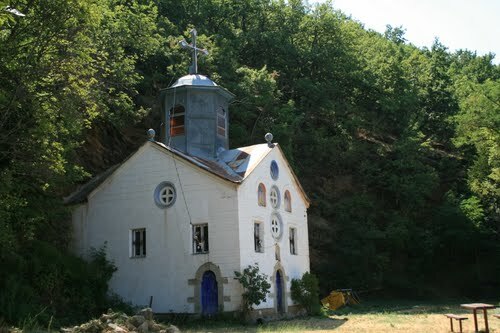 The first VMRO spark was lit in Resen in August 1894 during the sanctification of the new church of Sts. Cyril and Methodius. Supported by this organization, through established komitadji groups (cheti,) headed by village and regional voyvodas, the Prespa population prepared and took massive participation in the Ilinden Uprising in 1903. As revenge, the “asker” (Turkish ruler) burnt a number of villages. Risto Tomulev, leader of the village “cheta” and Hristo Popov, priest and member of the regional management of VMRO, both from Ljubojno, take up a special place among the pleiad of revolutionaries from Prespa. Following the failure of the Ilinden Uprising part of the employable Christian population went on “pechalba” (going abroad to earn money) to the European and Trans Atlantic countries, which further intensified the tradition begun toward the mid 19th century. The emigrant Golgotha continued after the Balkan and First World Wars, reaching its culmination after WW II, i.e. after the failure of the collectivization conducted by the government of what was then the Federal Yugoslav state which Macedonia was a part of as a Republic. Most people from Prespa now live in Canada, USA and Australia, as well as the Western European countries such as Germany, Denmark, Belgium, Sweden, Switzerland, France, and Norway. Prespa was also partitioned during WWII. The city of Resen and several villages of Gorna Prespa fell under Bulgarian rule, while the entire Dolna Prespa and Mala Prespa remained under Italian rule. At the time the border between the fascist countries, Bulgaria and Italy, spread from the “Makazi” crossing westward, between the villages of Gorno Dupeni and Evla, till the capitulation of Italy in 1943 when the Bulgarian rule spread toward Dolna and Mala Prespa. The People’s Liberation and Anti Fascist movement began in 1942 in the region under Italian rule. Mite Bogoevski, the poet and revolutionary from the village of Bolno, and his friend Stevan Naumov – Stif from Bitola, were killed on 12 September 1942 by the Bulgarian occupying army and police near the village of Bolno. Both were proclaimed heroes. 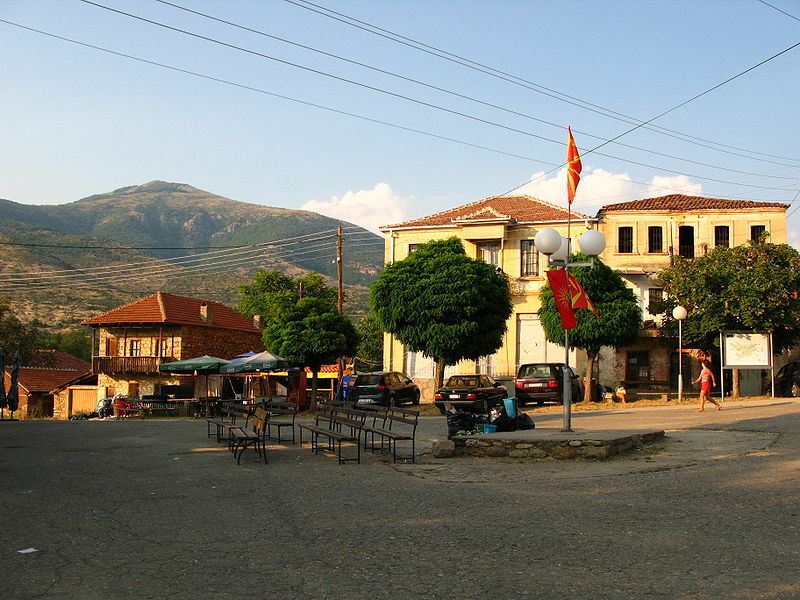 What makes Prespa and its history so special is its abundance of cultural and historical monuments which date back to the time when it was an ancient Roman crossroads and the first Capital of Czar Samoil. The churches and monasteries built during the time of St. Clement and St. Naum of Ohrid during the 9th and 10th centuries, and during the time of Samoil’s Empire during the 10th and 11th centuries, had been destroyed. Many of them were rebuilt and again destroyed during the rule of the Turkish Empire. Some of these that date back to the period between the 11th and 17th centuries have been preserved as a result of their distance from communication links or their location in the mountainous regions. Such is the case with “St. Georgi”, 12th century , in Kurbinovo; “St. Ilija”, 12th century, in Grncari; “St. Petka”, 14th century, in Brajcino; “St. Atanas and St. Arhangel”, 14th century in Dolno Dupeni; “St. Petar”, 14th century, in Golem Grad; “St. Sava”, beginning of 14th century, in Pretor; and the Slimnicki monastery of “St. Bogorodica” dating back to the beginning of the17th century. Other not less significant historical monuments in Prespa include the “Kurbinsko kale”, “Petrinsko kale”, “Kale Istok”, “Kale Ilino”, “Shurlensko kale”, “Marko kula” a tower in Podmochani, as well as the towers: “Kula Slivnica”, “Kula Krani-Arvati”, “Kula Shtrbovo,” “Kula Ljubojno”, “Kula Stelje”, “Kula Evla”, “Kula Izbishta”, “Gradishte Bolno”, “Gradishte Krushje”, and “Gradishte Leskoec”. There are similar cultural and historical monuments in parts of the Prespa valley, which can now be found in parts of Macedonia, in Greece, and in Albania. According to some recent data, Ljubojno has 271 house and weekend houses, inhabited and non-inhabited. A total of 223 residents lives in 96 houses and make up 99 households. About 90 houses are opened from time to time during the year, at weekends, or during the summer and winter vacations of their owners, who live in other parts of the country. The remaining 86 houses, of which only 50% are in decent condition for living in, are opened once in three or five years, depending on how often their owners, who live in the Trans Atlantic countries, will visit their native Ljubojno. In 1981 published in the “Iselenicki almanah ’81 (Emigrant Almanac “81) by the “Matica” or Head Office of the Emigrants of Macedonia with the supplement titled “Vo Ljubojno – prvoto makedonsko uciliste” (In Ljubojno – the first Macedonian school), I wrote that Ljubojno is spanned across both sides of the Golema Reka (Great River), i.e. Brajcinska Reka, not far from the tame Lake Prespa, and at the foot of the proud-as-an-eagle Mt. 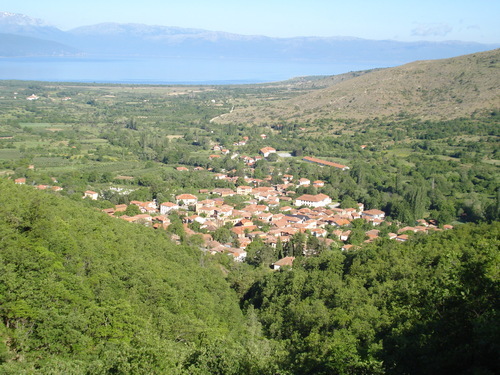 Baba, or “Baba Planina” and it is one of the oldest and most beautiful settlements in Prespa. Ljubojno, like many Macedonian villages is of a compact character. It has narrow roads paved with cobblestones, old Macedonian stone built houses with overhanging large balconies, and enclosed courtyards, which is the result of its location near the border. The village is first mentioned in a document by Czar Dushan in 1337, and is later mentioned once again as one of the large Macedonian settlements in records at the Slivnichki Monastery in 1607. According to tradition Ljubojno got its name from the word “ljubov” meaning “Love”. More precisely, long ago a young man and girl from the neighbouring settlements fell in love, but due to the bad neighborly relations of the residents the young ones could not get married. Nevertheless, they did decide to get married and elope. They settled close to the river and lived happily ever after. Other families later moved to the place of the lovers and so they named it “Ljubojno’. The legend is probably just a story the elderly here have retold. However, it is true that Ljubojno, or rather the residents of this Prespa region, do possess love, love toward their birthplace, their native country, nature, and all that is beautiful. According to the elderly this has always been a place where hardworking and honest Macedonians lived, who fanatically defended and protected their faith and nation. We know that during the Ilinden Uprising the village was burnt to the ground. Witness to this Macedonian tragedy are the old houses built on the existing foundations that jealously keep and hide the tragedy of Ljubojno, its people, and the entire Macedonian nation. We also know that to the people of Ljubojno and the entire Prespa region going abroad to work, or “pechalba” is an old tradition. As a phenomenon it appeared toward the end of the 19th century. However, this migratory process that spread throughout the entire Prespa region in the 1950’s did not go without Ljubojno. From here also a large number of families moved to other cities in the country, to USA, Canada, Australia, and certain European countries.